So you’re considering putting your real estate investment on the market, but what should you do first? You want the most for your investment. The listing process seems relatively easy; you call the agent, they run the numbers, and they get the paperwork ready. The photographer comes to your home, and, just like that, your home is on the market. All that commission for something so easy? I can do this myself. Mmmm… better think again. 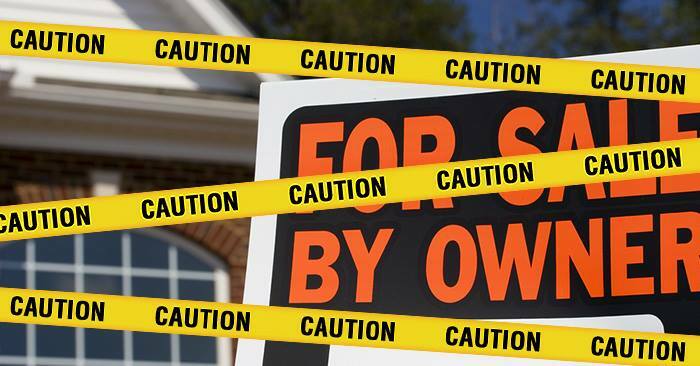 Selling by owner is risky – it may save you commission, but, in the long run, it could cost you even more! Now we’re not saying you can’t do it, but let’s think this out. The agent’s first step is to run the numbers, so let’s start there – determining the correct listing price. How familiar are you with the activity in your area? Do you have the resources to pull active, contingent, pending, and sold real estate investments in your area to help make that decision? Research shows 18% of sellers found it difficult to find the right listing price, and that was just the start. The next step for the realtor is preparing and gathering your paperwork. You will want to have many documents handy for interested parties. That includes pulling copies of your current deed, plat, septic permit, tax information, utility information, and what about those disclosures you’ve heard those realtors about? Potential buyers have done their homework, and they expect you to have done yours, too! Then comes the marketing. Photography first. “I have the new iPhone X. My photos are just as good, and who really needs professional photos? Oh wait, Uncle Bob’s co-worker does that in his spare time. We’ll use him. Well he’s busy this week. And looks like it will be next Thursday evening before he can get to us. Okay, two weeks and we’ll have our photos back to market our home. Oh wait. We didn’t included editing time, too. Vistaprint is running a promotion, so, once we get the photos, our flyers will be ready.” As you can imagine, the story goes on. The cost of marketing materials, online advertising, professional photography, and more really add up, and you still aren’t getting the exposure that you do with a true agent. Finding the right listing price and marketing are not the only difficult tasks. Other difficulties include struggles preparing the home for sale (13%), understanding & performing paperwork (12%), and selling within the planned length of time & having time to devote to the sale (6%), according to the National Association of Realtors (NAR). Research shows the average For Sale by Owner (FSBO) home sold for $185,000 compared to $240,000 for agent-assisted home sales. With over 50% of home buyers finding their home on the internet and 34% of buyers finding their home through a real estate agent, putting your home on the market FSBO may not be the best decision. Nathan Fitts & Team of Remax Town & Country are leaders in Georgia’s Real Estate industry with proven results. This team will provide you with unmatched service and enhanced expertise in not only residential, new construction and building, but also in commercial, luxury homes & estates, and real estate development & acquisition. This team of professionals has extensive knowledge and background of every aspect of the real estate industry, and, although the team is known as real estate specialists in North Georgia, it is comprised of agents able to serve you in Florida, Georgia, North Carolina, and Tennessee. Nathan Fitts & Team offers the highest level of professionalism and customer service that you deserve as a valued client. The team’s success of repeat and referral business is true testimony to their genuine care for helping people experience their dream of “the mountain life.” You’ll find it easy to trust this team to put their wealth of knowledge, energy, and experience to work for you.